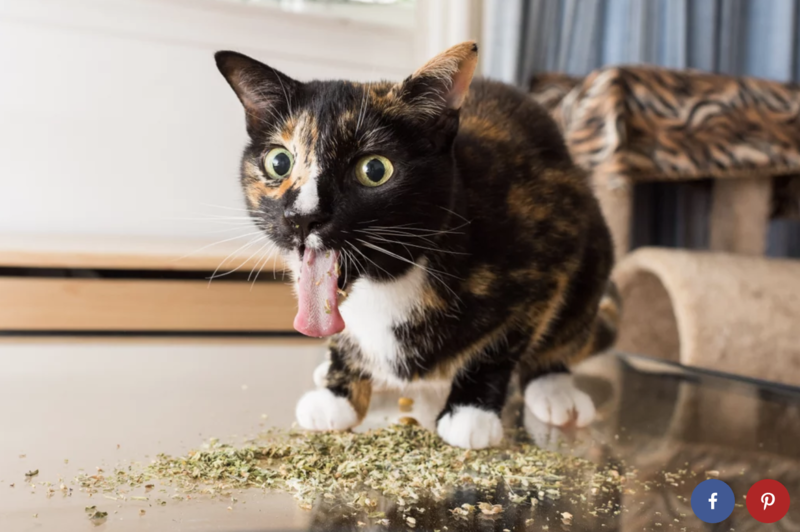 After photographer Andrew Marttila discovered his old roommate’s cat had a minor (read: major) obsession with catnip, he pulled out his camera to try to capture the cat’s crazy reactions. 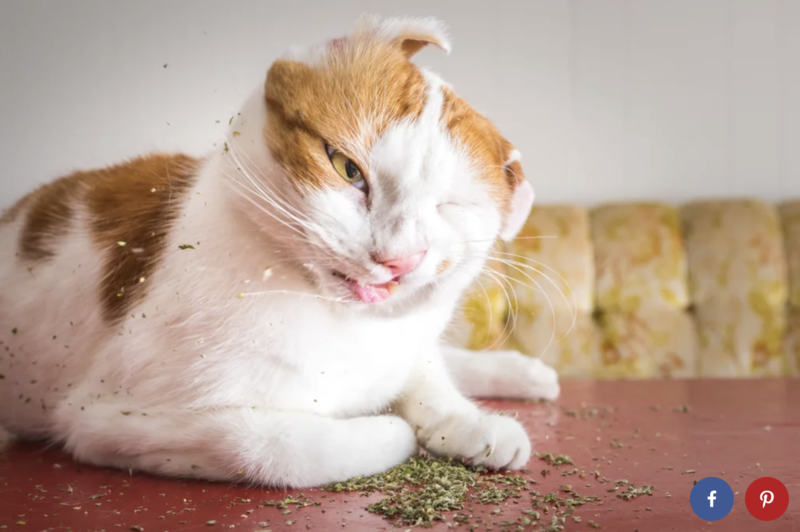 Over 100 “high” cats later (who kind of look akin to toddlers with sugar rushes), Marttila, who runs the iamthecatphotographer Instagram account, took enough photos to compile into a book that is going to look amazing on every cat-lover’s coffee table. After stumbling upon Marttila on Instagram and promptly laughing hysterically at all of the adorable cat photos on his page, I had to know more — and as it turns out, he’s just as funny as his photos. If you live in western Washington State and have (or know of) a cat stuck in a tree, you can call on Canopy Cat Rescue, a lovely organization (two guys) that will bring the moggie down for free, though a normal cat rescue by an arborist would cost $500 to $700. (They also carry chip readers to find the cat’s owner.) Their website has all kinds of good information about cats stuck in trees, including how long you should wait before you should call for help (if they’re up there overnight, it’s time to call CatBusters). These guys rescue 375-400 cats per year from an average height of about 100 feet. What if you live somewhere else in the U.S. but want a treed cat rescued? No worries! Dan Kraus has compiled a list of arborists or climbers who will rescue your cat: the list is here. 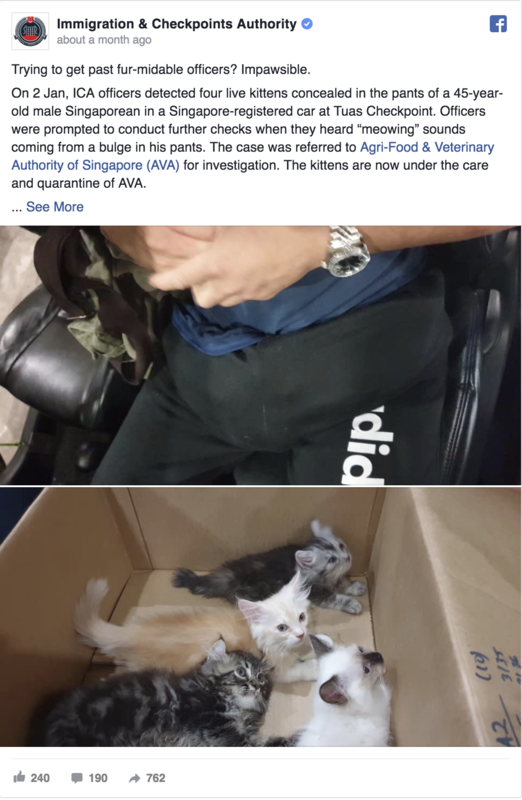 The live cargo was discovered when immigration officials in the South East Asian city state heard “mewing” sounds coming from the man’s trousers. The 45-year-old Singaporean was attempting to travel through the Tuas Checkpoint, which links Malaysia and Singapore.
. . . The kittens are now in the care of the Agri-Food & Veterinary Authority of Singapore. Here’s Singapore Immigration’s report on Facebook. Look at that bulge (not to mention that he risked getting clawed in a sensitive place)! This entry was written by whyevolutionistrue and posted on February 9, 2019 at 9:00 am and filed under Caturday felids. Bookmark the permalink. Follow any comments here with the RSS feed for this post. Both comments and trackbacks are currently closed. Recently, I had the opportunity to watch a wolf play with catnip. It was delightful, not so different from our smaller, furry feline friends. The cat smuggler looks a little dangerous but not in as much trouble as David Pecker. Great! 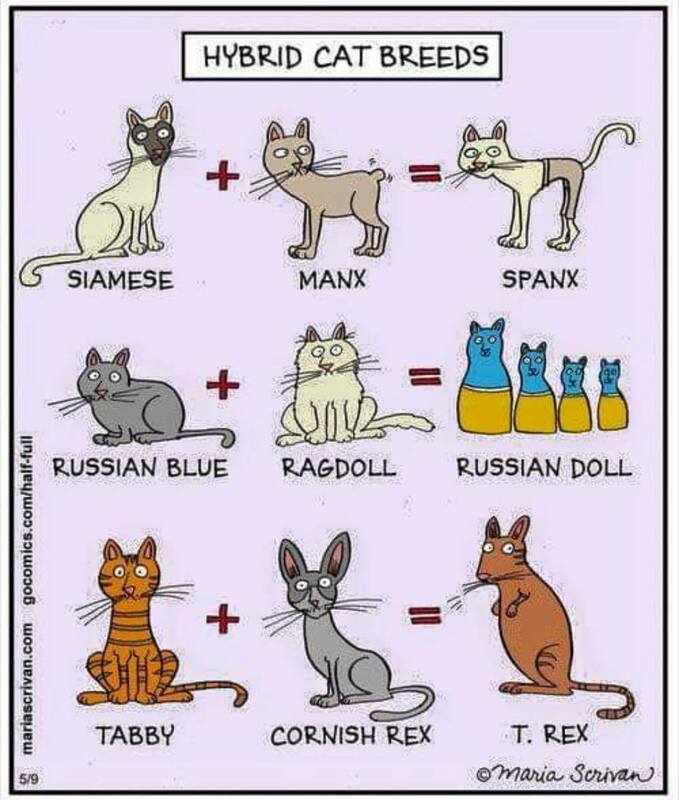 The Allen Ginsbergs of the cat world. They probably “Howl” when they’re not high on nip. I don’t understand why people just dump a pile of dry ground catnip on the floor for cats. 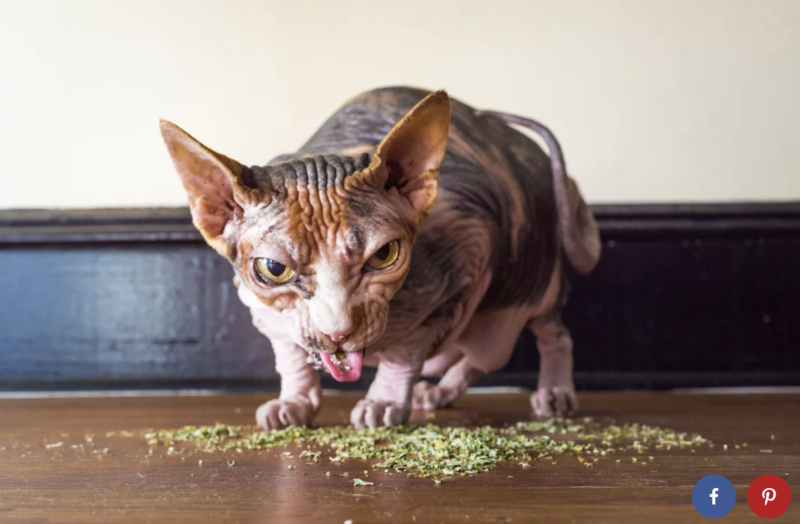 Most of the photos I see here are of cats that are gagging and trying their best to get pieces of dry catnip out of their mouths; that’s all. Quite different from cats that are actually under the influence. Wouldn’t a human do the same if they somehow found themselves with a mouthful of, say, dry crumbled oregano, or even cannabis? They’d be gagging, too. Fresh catnip, fine loose; dry should be tied in a bag or otherwise contained. 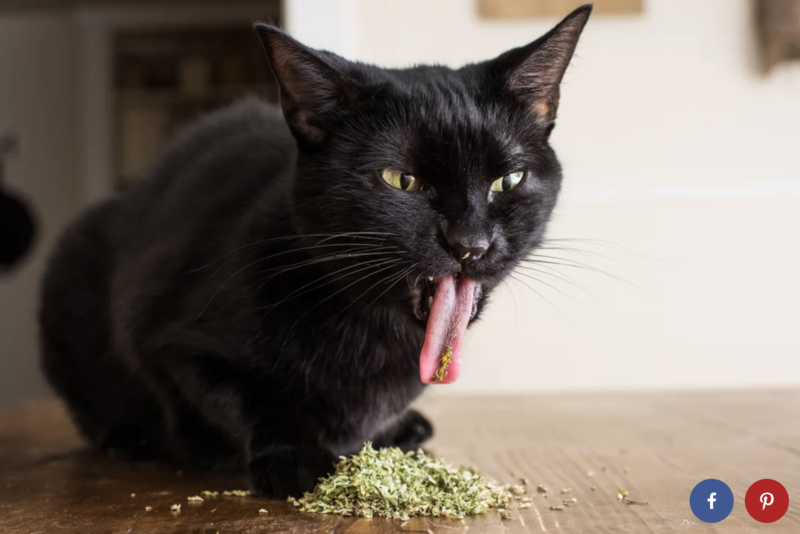 I might have mentioned it before, but I once had an uptight pharmacist neighbor who saw me giving my cat catnip and chastised me for giving my cat drugs. I’m sure he’d have called the cops on me if he could. 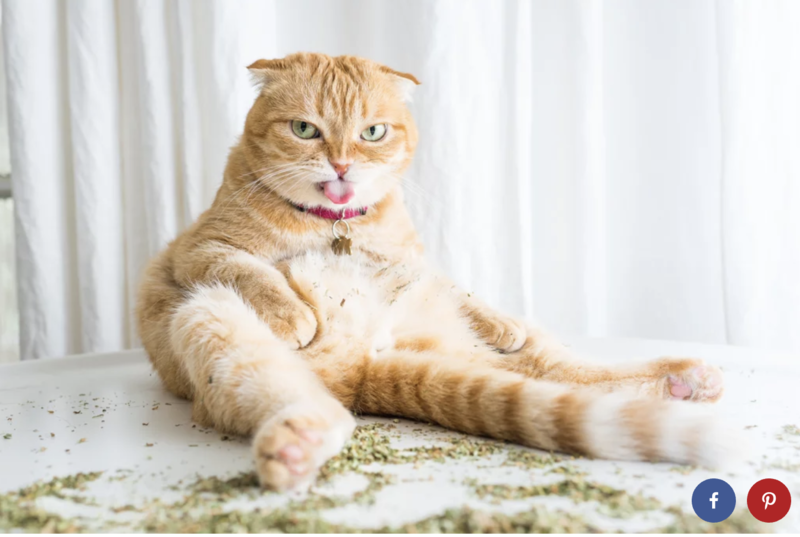 Then I found this, “Is it unethical to give your cat catnip?” https://theconversation.com/is-it-unethical-to-give-your-cat-catnip-107774. Am I immoral if I give cats catnip? I think this is going too far. I meant to write that fresh catnip, as opposed to dry, is fine to give to a cat as is, on the floor or wherever without putting it in a container. I suppose that, as usual, it is about dosage. In the photos above, the white-and-ginger cat seems to have overdosed. He had a custom created glove with sleeve/bag attached to it. Once you scruffed the cat, you pulled it over the body and secure it. It’s for cats will not willingly go into a bag. He has a cat carrier with food for the ones who are more accepting. I mention him, as when I was desperately seeking advice to help a friend with an atypical friendly feral rescue, he was the only one who gave me personal useful information. None of the many cats I’ve had over the decades ever reacted to bags of catnip. They toyed with them for a minute or so and then went on to other things. Here in Switzerland, when a cat is stuck up in a tree and cannot come down for whatever reason, one calls the local firs station – they gladly come and help, for free. Ooops – fire station, not firs station! ate it and got it everywhere. Then again this is the cat who taught my mahlemute how to open the cupboard under the sink to get garbage! Had to put hook and eye locks on the doors after that. Amazing how that folk belief goes around. “How can millions of parents have got it so wrong? Easily: expectation causes cognitive biases, which cloud judgment. Back in 1994, a study in the Journal for Abnormal Child Psychology assembled a group of 35 boys, aged between five and seven, whose mothers said they were behaviourally sensitive to sugar. Some of the children’s mothers were told their sons had been given a large dose of sugar, and the rest were told their boys were in the placebo group. In fact, all children had been given placebos. The mothers were filmed interacting with their sons and, says the study, “mothers in the sugar expectancy condition rated their children as significantly more hyperactive”. Behavioural observations, it continues, “also revealed these mothers exercised more control by maintaining physical closeness, as well as showing trends to criticise, look at, and talk to their sons more”. And of course glucose blood levels are tightly regulated. But I suspect the cats really do get high since they behave so uncharacteristically.